Christian Oita selects his fave snaps from his cover story with the gorgeous Matthew Noszka. Well, we couldn’t get enough of the sizzling summer haze snaps, so Christian has made our Christmas wishes come true and has offered up his favourite pics from his day with Matthew, featuring some previously unpublished pics – enjoy! EMMA WATSON AND DOUGLAS BOOTH IN THE SPRING/SUMMER ISSUE OF WONDERLAND! Wild Thing! 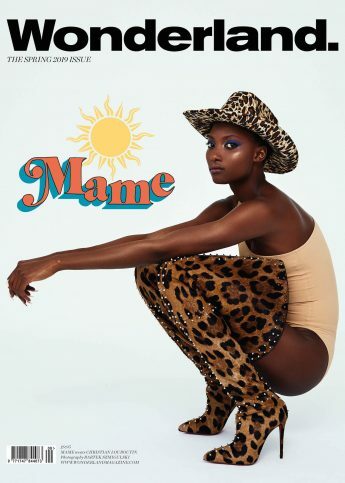 Mame wears Christian Louboutin on our Spring 19 digital cover. International Women's Day roundup: all our fave quotes from the Wonderland cover archives.